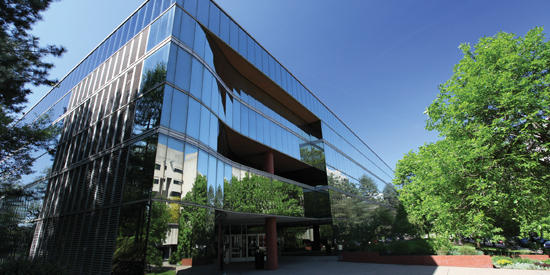 The Joseph M. Katz Graduate School of Business and College of Business Administration gives students the business agility to compete in the global economy. Led by our collaborative faculty, we emphasize experience-based learning, international immersion, and team-based projects. Our location in Pittsburgh, Pa. gives students abundant opportunities for internships, consulting projects, case competitions, and cultural activities. We have a network of 26,000 alumni in more than 90 countries, all graduates of a program ranked among the world's best by independent publications and continuously accredited by AACSB International. Applicants to the Joseph M. Katz Graduate School of Business are evaluated on their demonstrated leadership skills, record of accomplishment, previous academic performance, and analytical skills as well as their future potential as leaders in business. The average GPA for the matriculating class of 2009 was 3.3 with an average GMAT of 602. While no...Applicants to the Joseph M. Katz Graduate School of Business are evaluated on their demonstrated leadership skills, record of accomplishment, previous academic performance, and analytical skills as well as their future potential as leaders in business. The average GPA for the matriculating class of 2009 was 3.3 with an average GMAT of 602. While not a strict requirement for every prospective candidate, evaluative interviews are conducted regularly prior to the first application deadline. Last year, 97 percent of applicants to the full-time MBA program were interviewed. Interviews for part-time candidates are arranged by invitation and take place after the admissions committee's initial review of a candidate's application. In terms of job placement students here say, “the social networks…are priceless. I feel if I ever lost my current job, through my developed network I would be employed very quickly.” In addition, “the network events and alumni database are particularly helpful.” Most importantly, Katz has a long arm into the Pittsburgh community and the Pennsylvania region at large. However, students say “career services could be more involved in getting more companies on site for recruiting;” however they are quick to attribute any dip in recruiting opportunities to “the recession and difficult times as far as hiring and job availability in general.” In 2010, 70 percent of graduating Katz MBA students had received a job offer prior to graduation with a mean base salary of $71,328. Though by in large students accepted jobs in the surrounding Middle Atlantic region, an impressive 30.4 percent accepted jobs internationally. Financial services, manufacturing, consulting, and technology remain fields with big draws for Katz grads. Bayer, IBM, Deloitte & Touche, Crane Co., and Ford Motor Company were listed as the top five employers. Institute for Industrial Competitiveness; International Business Centers; Institute of Entrepreneurial Excellence; The Berg Center for Ethics and Leadership; Center for Health and Care Work; Office of Technology Management; Technology Commercialization Alliance. Jeffrey A. Davis - Senior Vice President and Treasurer, Wal-Mart Stores, Inc.
Kevin Woods Sharer - Chair & CEO Amgen, Inc.
Want more info about University of Pittsburgh, Katz Graduate School of Business Full Time MBA? Get free advice from education experts and Noodle community members. What makes the Katz School of Business experience unique? The Katz School believes in two universal truths – “business never stops reinventing itself, and neither should you”. What's the typical profile of an accepted applicant to the full-time MBA program? Full-time Katz MBA students typically have 45 months of work experience and typically have academic backgrounds in business and management, engineering, or humanities and social science. What are the different concentrations offered in the full-time program? And what is the most popular concentration? The Katz School offers six concentrations: Finance, Operations, Marketing, Strategy, Information Systems and Technology Management, and Organizational Behavior and Human Resources Management. Nearly 50% of the class concentrates in either Finance or Operations. What's the average starting salary of a graduate? The average graduate of Katz sees a 132% salary increase post-MBA.